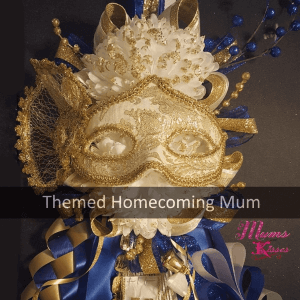 Mums and Kisses proudly introduces New for 2018 The Limited Edition – “Shannon’s Secret” Homecoming Mum. This beauty is limited for several reasons, the time involved in it’s creation, some of the material being on a limited supply and for the exclusivity of it. Girls love to be the only ones wearing something. Now you can be! No other girl in their school will have this. We the designers have a hard time duplicating this as it’s details are so intricate. It’s called “Shannon’s Secret” for a reason! 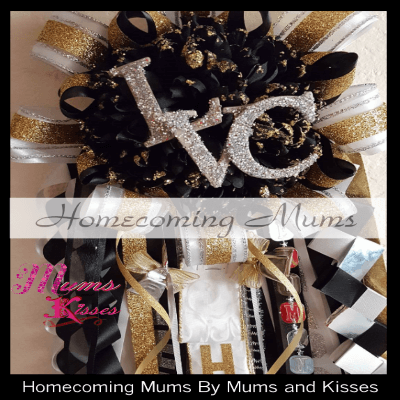 The customizations on it are far beyond most homecoming mums. The details have been handcrafted and we are excited to offer just a few of these on Etsy. We do offer just a few more on our website, if these sell out. Here’s what makes the Shannon Secret so Special. It is a Triple Texas Heart with three 8″ flowers that are custom dipped to be cream color. That’s right, hand painted silk. Next are the custom cut bling letters, and the custom braids. On to the 6 double ribbon bows, the custom cut ribbon lettering AND custom imprinted ribbon on double faced Satin, not offered anywhere else! There is absolutely NO Acetate streamers and NO plastic trinkets to this mum. It’s all luxury satin double faced, and all custom cut decals. 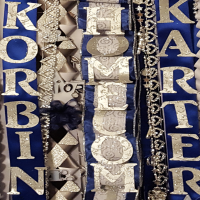 We’ve created a new imprinted ribbon technic that will put your school ribbon, grade ribbon, your names, and activity all on double faced satin ribbon and is all done secretly in house. This stunner has not been released anywhere else in 2018. Get the original while you can. 1. there are NO trinkets on this limited. 2. there are NO Acetate streamers. 3. there are limited colors. Beige and gold are your base colors, you may choose the accent color. The accent color in the photo is blush pink and brown. Butterfly Centerpiece and side flare are VERY limited, and may be substituted with a comparable item. Shannon’s Secret is a limited edition. There are only a few of them in the world. Unlike our other mums we will not accept many changes for this particular mum. There are NO plastic trinkets in this mum. Below in the order form you will be able to select your accent colors, name ribbons are imprinted, all included in the price. 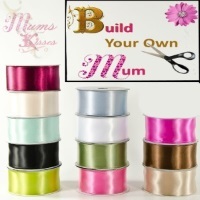 4 Custom Made Ribbons – One of a Kind Ribbons Hand Made. 7 Braids – 2 fancy braids, 1 Homecoming Loop Braids with custom bling lettering. 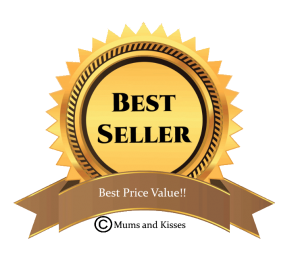 For Pick Up Orders, we will email you when your order is ready. For Shipped Orders, we will ship using your preferred method. 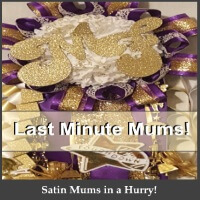 Please allow 8 days for production time at minimum and at least 24- 48 hours order processing time + shipping time in most cases this mum may take 10-15 days from order to arrival. What grade is the recipient of the order in? Gold (Champagne) and Cream are the base colors, you may chose 1 or 2 colors to be your accent colors. The photo shown uses base colors plus accent colors of blush pink and brown.